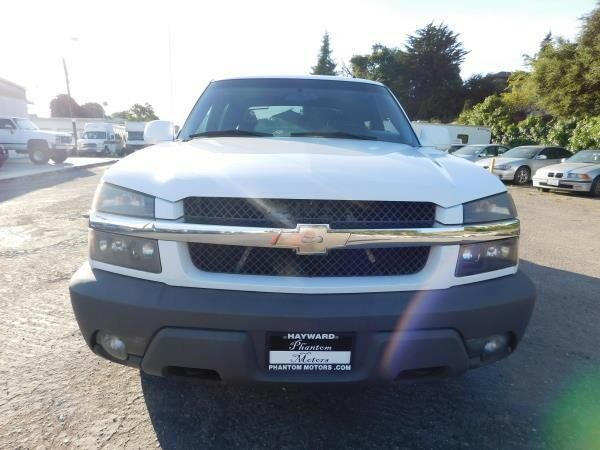 2005 CHEVROLET AVALANCHE 4x4 Z71BEAUTIFUL TRUCK !V8 5.3L FFV4-Wheel Drive Z71Tow PackageFantastic ConditionEngine and Transmission are in perfect condition. 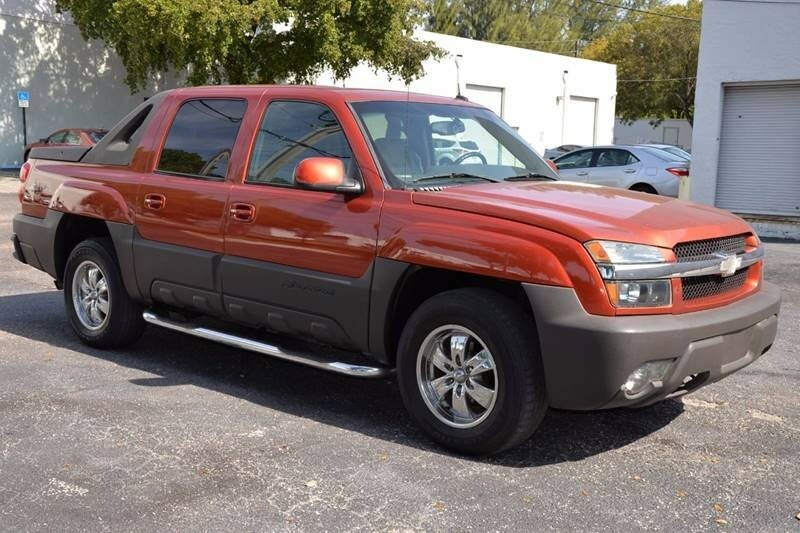 Engines purrs quietly and effortlessly.1500 Z/71 4X4 2005 : The Z/71 trim level is the "off-road" model of the Avalanche 1500. It includes the following equipment to the base 1500: off-road suspension package (Z/71)17" Alloy Wheels"AutoTrac" push-button selectable 4X4 transfer case"Z/71 Off-Road" rear side decalsWEATHER-TECH rubberized front and rear floor matsP265/70R17 off-road tires. 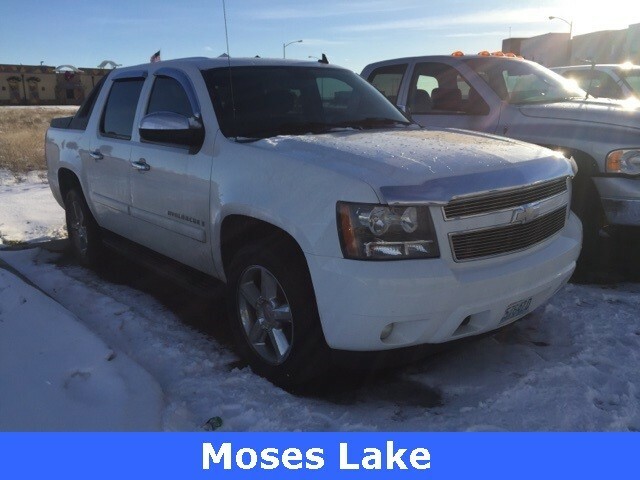 Premium Sound SystemPerfectly operating Climate Control System - AC and Heat and all climate controls functioning perfectly.5-Speed Automatic 4x4 TransmissionTires are in great shape with plenty of treadIt runs and drives perfectly. No issues with this truck at all. This Z71 'Lanche will stand up against anything out there for sale. 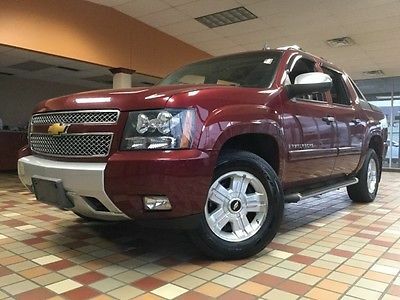 If you're looking for a perfectly-running, well-priced truck, this is the one! Don't miss out on this gem. Fly in and drive it home !It's beautiful inside and out.Additional photos available. Please forward your email address. Any questions - please call 847-971-8487.Thanks for looking ! Terms of Sale :We reserve the right to cancel all bids and end an auction early should the vehicle no longer be available for sale. We may elect to relist any car that is not fully paid for within five (5) calendar days. Bidders with zero or net-negative feedback are asked to email prior to bidding. At the auction close, the winning bidder will receive an email containing a bill of sale with payment instructions. Please confirm receipt of this email - and include your name and address as you wish it to appear on the title. The title to this vehicle is clear and in our possession. PAYMENT $250 non-refundable deposit is due immediately, via PayPal. The Bill of Sale will include comprehensive payment instructions. The remaining balance, due within five (5) calendar days, may be paid via Cashiers Check or Wire Transfer.FEES There are NO ADDITIONAL FEES with this eBay purchase. Your winning bid is the final price paid to us.TAXES : BUYERS ARE SUBJECT TO THEIR OWN STATE'S SALES TAX AND LICENSING FEES. THIS IS A DEALER TRANSACTION. DELIVERY Options : SHIPPING IS THE BUYER'S RESPONSIBILITY. Please call us for shipping quotes! We can save you time and money! Our shippers provide inexpensive, timely and professional delivery services throughout the US. Should you choose to fly in and drive your vehicle home, please make arrangements to arrive at O'Hare Intl. Airport (ORD). We are located 15 miles north of the airport.Important notice to all bidders:PLEASE TAKE ADVANTAGE OF OUR OFFER TO HAVE THE VEHICLE INSPECTED DURING THE AUCTION. IF YOU ARE UNABLE TO PERSONALLY INSPECT THE VEHICLE, YOU ARE WELCOME TO ARRANGE FOR A THIRD-PARTY INSPECTION (BUYER'S EXPENSE). WE MAKE EVERY EFFORT TO FULLY DESCRIBE THE VEHICLE.PLEASE REVIEW THE PHOTOGRAPHS CAREFULLY.This vehicle is being sold as is, where is, with no warranty expressed, written or implied. No refunds. No returns. The seller shall not be responsible for the correct description, authenticity, genuineness, or defects herein, and makes no warranty in connection therewith. No allowance or set aside will be made on account of any incorrectness, imperfection, defect or damage. Any descriptions or representations are for identification purposes only and are not to be construed as a warranty of any type. Please be advised that no oral statements concerning any vehicle constitute a representation or warranty of the condition of said vehicle. If a personal inspection is not possible during the auction, we may facilitate an inspection by your chosen 3rd-party service center, during the auction, at buyer's expense. No inspections subsequent to the close of the auction. No exceptions. The advertised mileage represents the actual miles displayed on the odometer when the car was placed on eBay. These vehicles are extensively and frequently test driven and actual mileage will differ at time of sale. We have no history of any service performed to repair or replace defective odometers. Therefore, we cannot guarantee the 'true mileage' of any vehicle. Any vehicle older than model-year 2006 is mileage exempt or TMU. It is the responsibility of the buyer to have thoroughly inspected the vehicle prior to bidding, to be satisfied with the condition and value and to bid based upon that judgment solely. The seller shall make a reasonable effort to disclose any known defects associated with this vehicle. The photographs of this vehicle represent an effort to disclose the physical condition of this vehicle. Seller assumes no responsibility for any repairs regardless of any oral statements about the vehicle.Please remember your eBay obligation. When you bid, you are entering a legal, binding contract. If you bid on this vehicle and the reserve is met, you are obligated to follow through with your purchase. Please ensure that you have funds available to comply with the payment terms. 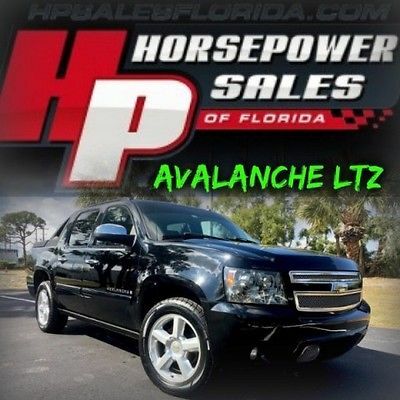 HP Sales of Florida 561-651-9501 2010 Chevrolet Avalanche 4WD Crew Cab LT 2010 Chevrolet Avalanche 4WD Crew Cab LT Black / Black102,504 Miles / VIN: 3GNVKFE04AG123106 Contact Jeremy at HP Sales of Florida at 561-651-9501 5401 East avenue Suite 1 West Palm Beach, FL 33407 View This Seller's Other Auctions 2010 Chevrolet Avalanche 4WD Crew Cab LT Black Exterior / Black Interior VIN: 3GNVKFE04AG123106 4 Doors, Four Wheel Drive, Truck, 8 Cylinders, Automatic Inventory ID: 123106 Video Vehicle Description 2010 Chevrolet Avalanche 4WD Crew Cab LT We proudly offer another wonderful luxury Pickup truck. 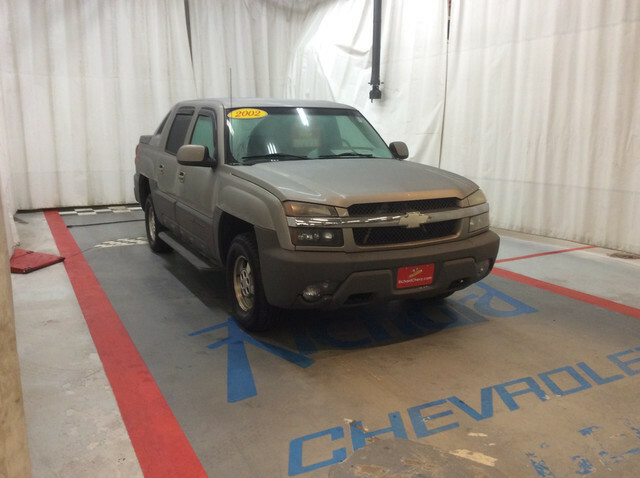 This 2010 Chevrolet Avalanche is ready to make its new owner proud . With its upgraded Black Diamond Flake Paint, matching black leather interior, almost new Michelin tires and dozens of service records from its previous owner, this decked out truck is ready for dinner at the country club or on the jobsite. Please note it has a small dent on the tailgate, and small crack in the dashboard plastic as these all do. other than that it shows like a 30K mile truck, with no rattles, leaks or issues at all. The transmission shifts perfectly smooth, the 4wd engages and functions as it should as do all other systems on this truck. 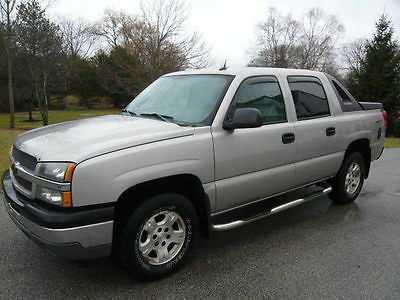 The new owner of this extremely well cared for truck with be the talk of the town, dont hesitate,BUY IT NOW!!! !WWW.HPSALESFLORIDA.COM561-651-9501WE CONSIDER ALL TRADES, SHIP WORLDWIDE, AND ASSIST WITH FINDING FINANCING! All Scheduled Maintenance. Always garaged. Highway miles. Ice cold A/C. Looks & runs great. Records available. Must see. New tires. No accidents. Non-smoker. Perfect first car. Power everything. Runs & drives great. Satellite radio. Very clean interior. Well maintained. Additional Photos Equipment & Features Standard Equipment PackagePremium smooth ride suspension pkgMechanical5.3L SFI V8 Vortec flex-fuel engine -inc: Active Fuel Management *Capable of running on unleaded or up to 85% ethanol*6-speed automatic transmission w/OD -inc: tow/haul mode3.08 rear axle ratioHigh capacity air cleanerElectronic AutoTrac single speed transfer case w/control knobHD rear locking differential4-wheel driveHD maintenance-free battery w/rundown protection, retained accessory pwr145 amp alternatorHD trailering -inc: trailer hitch platform, 7-wire harness w/fused trailering circuits mated to a 7-way sealed connector, 51mm (2") receiver, (4) blunt cut wires in the IP harness to accommodate installation of an after market trailer brake controller(2) frame-mounted front recovery hooks(4) built-in tie down brackets on each side of pickup boxTop-box storage compartment w/integrated locks3266 kg (7200 lbs) GVWRFront coil-over-shock suspension w/stabilizer barRear multi-link suspension w/coil springsPwr steeringStainless steel exhaust systemMechanical jack & wheel wrenchExteriorLockable winch-type spare tire carrier mounted under frame at rearColour-keyed front fasciaColour-keyed rear fascia (REQ: PDD convenience pkg)Colour-keyed rear steel bumperGrille w/chrome surround & dark mesh insertDark charcoal assist stepsDual halogen composite automatic headlights w/flash-to-passFront fog lights incorporated into front fasciaSolar-Ray glass -inc: front light tint, rear deep tintIntermittent front wiper system w/pulse washersConvert-a-Cab system -inc: Midgate w/foldable door between cargo box & cab, removable rear window glass that is stowable in midgate panel pocket, 3-piece rigid stowable cargo coverBlack HD one-piece rubber cargo bed matPro-tec lockable tailgate w/protective cap mouldingEntertainmentAM/FM stereo w/MP3 compatible CD player -inc: USB port, aux input jack, seek & scan, digital clock, auto-tone control, Radio Data System (RDS), speed-compensated volume, TheftLock, (36) cross-band presets(6) speakersXM satellite radio w/130 channels, commercial free music as well as the be in news, sports, talk, comedy & more, digital quality sound w/coast-to-coast signal coverage *Includes 3-free trial months after which fees apply*In-vehicle Bluetooth systemInteriorFront bucket seats -inc: 6-way pwr front seats, floor console, adjustable head restraints, dual manual lumbar control, seatback storage pocketsPremium cloth seat trimCustom leather-appointed seat trim Floor console -inc: damped-door storage covers, large storage bin, front & rear dual cupholdersColour-keyed carpetingColour-keyed carpeted front & rear floor matsLeather-wrapped tilt steering wheel -inc: brake/transmission shift interlockSteering wheel-mounted audio & cruise controlsDriver info centre -inc: message centre, warning messages, programmable personalization features such as door locking & unlocking, trip computer, trip odometer, individual tire pressure readouts, fuel range, average fuel consumption, oil life, 8-point compass, outside temp displayAnalogue instrumentation -inc: speedometer, odometer w/trip odometer, fuel level, voltmeter, engine temp, oil pressure, tachometerProgrammable pwr door locks w/lockout protectionPwr windows -inc: driver express down, lockout featureRemote vehicle starter system -inc: (2) extended range key fob transmitters w/remote keyless entry, remote vehicle start, illuminated entry, panic & vehicle content theft alarmsUniversal home remote -inc: programmable garage door openerCruise control -inc: set & resume speedVehicle theft-deterrent w/electronic immobilizerDual-zone manual air conditioning -inc: individual climate settings for driver & right front passenger, rear vents in centre console, rear controls located overheadDual-zone electronic climate control -inc: individual climate settings for driver & right front passenger, rear vents in centre consoleRear window defoggerFront passenger & outboard second row seat assist handlesWoodgrain accents -inc: instrument panel, door trimAuto-dimming rearview mirrorDual padded extendable sunshades w/illuminated vanity mirrors, cloth trimSafetyStabiliTrak vehicle stability control w/proactive roll avoidanceBrake transmission shift interlockDual stage frontal airbagsAutomatic passenger airbag suppression system w/passenger status indicator in overhead console1st & 2nd row roof rail mounted head curtain side-impact airbags w/rollover sensorSeat-mounted side-impact driver & right front passenger airbagsOnStar in-vehicle communications & assistance service -inc: (1) year of Directions & Connections plan w/Turn-by-Turn Navigation (TBT availability impacted by some geographic/cellular limitations, advisor assisted routing available)Ultrasonic rear parking assist -inc: audible chime warning3-point seat belts at all seating positionsDriver & front passenger pretensionersLATCH (Lower anchors & top tethers) systemChild security rear door locksSide guard door beams Optional Equipments--> Warranty AS IS - NO WARRANTY This vehicle is being sold as is, where is with no warranty, expressed written or implied. The seller shall not be responsible for the correct description, authenticity, genuineness, or defects herein, and makes no warranty in connection therewith. No allowance or set aside will be made on account of any incorrectness, imperfection, defect or damage. Any descriptions or representations are for identification purposes only and are not to be construed as a warranty of any type. It is the responsibility of the buyer to have thoroughly inspected the vehicle, and to have satisfied himself or herself as to the condition and value and to bid based upon that judgement solely. The seller shall and will make every reasonable effort to disclose any known defects associated with this vehicle at the buyers request prior to the close of sale. Seller assumes no responsibility for any repairs regardless of any oral statements about the vehicle. Terms and Conditions Winning bidder must contact us within 24 hours of the auctions end. We require a $500 non-refundable deposit via paypal to ebaykate123@gmail.comwithin 24 hours unless other arrangements have been made prior. Full payment is due within 7 days of auction end. If no contact is made within 24 hours we reserve the right to re-list the vehicle, sell it to the next high bidder, or sell it otherwise. Most banks and credit unions do not finance vehicles older than 1995 or with more than 100K miles. Make sure if financing that your financial institution accepts the year and miles of this vehicle before bidding. Please arrange financing prior to bidding. If you are not sure about something, please ask! Do not assume anything not listed is included. We reserve the right to end the listing if the vehicle is no longer available for sale. PLEASE ONLY BID WHAT YOU ARE WILLING TO PAY. 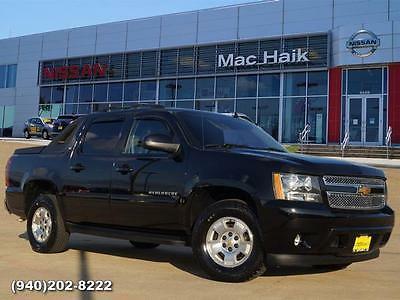 HP Sales of Florida 561-651-9501 2013 Chevrolet AVALANCHE CALLAWAY SC450 SUPERCHARGED 2013 Chevrolet AVALANCHE CALLAWAY SC450 SUPERCHARGED Silver / Black17,012 Miles / VIN: 3GNMCEE07DG127013 Contact Jeremy at HP Sales of Florida at 561-651-9501 5401 East avenue Suite 1 West Palm Beach, FL 33407 View This Seller's Other Auctions 2013 Chevrolet AVALANCHE CALLAWAY SC450 SUPERCHARGED Silver Exterior / Black Interior VIN: 3GNMCEE07DG127013 4 Doors, Rear Wheel Drive, Pickup, 8 Cylinders, Automatic Inventory ID: 127013 Video Vehicle Description 2013 Chevrolet Avalanche BLACK DIAMOND EDITIONCALLAWAY SC450 PACKAGEOriginal MSRP (Including Callaway SC450 ) $78,510 CALLAWAY SC450 PACKAGESUPERCHARGED ENGINE PACKAGEROOTS-STYLE TVS1900 SUPERCHARGERBLACK FINISH LIQUID -TO-AIR INTERCOOLERINTEGRAL TO INTAKE MANIFOLDINCREASED FLOW RATE FUEL INJECTORSCARBON FIBER INJECTOR COVERSCALLAWAY HIGH FLOW INTAKE SYSTEMCALLAWAY LOW RESTRICTION EXHAUST SYSTEMCALLAWAY EMBROIDERED HEADRESTSCALLAWAY EMBROIDERED FLOOR MATSCALLAWAY BADGING, EXTERIOR AND INTERIORCALLAWAY UNDERHOOD PLAQUE WITH VEHICLE IDENTIFICATIONCALLAWAY SPORTTRUCK KEY FOBSCALLAWAY SPORT TRUCK AUTHENTICITY DOCUMENTATION What an amazing truck offer you today. This is one of the finest examples of the coveted Callaway built SC450 Trucks we have every seen. It shows new in almost every way, runs and drives perfectly, and really hauls but!! Callaway cars are known for their amazing build quality, extreme performance and exemplify the highest in quality and exceed all standards of even the most critical consumer. If you are in the market for one of the worlds true supertrucks built by a world leader in Performance, this is the truck for you! You will not find another one of these trucks, with this mileage and perfect condition ever again, BUY IT NOW before its gone! FACTORY STANDARD EQUIPMENT INCLUDESDual Halogen HeadlampsDaytime Running LightsAM/FM Stereo w/CD PlayerBose Premium Sound SystemBluetooth TechnologyXM Satellite RadioHeated Front SeatsRear Parking AssistWWW.HPSALESFLORIDA.COM WE CONSIDER ALL TRADES, SHIP WORLDWIDE, AND CAN ASSIST WITH FINANCING All Scheduled Maintenance. Always garaged. Custom wheels. Fully loaded. GPS system. Ice cold A/C. Looks & runs great. Low mileage. Records available. Must see. No accidents. Non-smoker. One owner. Performance tires. Power everything. Runs & drives great. Satellite radio. Still under factory warranty. Upgraded sound system. Very clean interior. Well maintained. Additional Photos Equipment & Features Standard Equipment MechanicalEngine, Vortec 5.3L V8 SFI FlexFuel with Active Fuel Management, capable of running on unleaded or up to 85% ethanol (with gas - 320 hp [238.6 kW] @ 5400 rpm, 335 lb-ft of torque [452.2 N-m] @ 4000 rpm, with E85 ethanol - 326 hp [243.1 kW] @ 5300 rpm, 348 lb-ft of torque [469.8 N-m] @ 4400 rpm), iron block (Requires 2WD models. )Transmission, 6-speed automaticRear axle, 3.08 ratio (Not available with (K5L) heavy-duty trailering package)Suspension Package, Premium Smooth RideRear wheel driveBattery, heavy-duty 600 cold-cranking amps, maintenance-free with rundown protection and retained accessory powerAlternator, 145 ampsTrailering equipment includes trailering hitch platform, 7-wire harness with independent fused trailering circuits mated to a 7-way sealed connector and (VR4) 2" trailering receiverSuspension, front coil-over-shock with stabilizer barSuspension, rear multi-link with coil springsGVWR, 7000 lbs. (3175 kg) (Requires CC10936 models. )Steering, powerBrakes, 4-wheel antilock, 4-wheel discKey, single, 2-sidedExteriorFascia, front color-keyedFascia, rear color-keyedMoldings, bodyside, color-keyedBody-colored exterior componentsDoor handles, color-keyedHeadlamps, dual halogen composite with automatic exterior lamp control and flash-to-pass featureFog lamps, front, halogenMirrors, outside heated power-adjustable, manual-folding, color-keyedGlass, Solar-Ray deep tinted (all windows except light tinted glass on windshield, driver and front passenger)Midgate, foldable door between cargo box and cab with a removable and stowable rear windowCargo cover, rear rigid, 3-piece composite, stowable onboardPickup box mat, Black rubberStorage box, integrated top box with locks and lightsEntertainmentAudio system, AM/FM stereo with CD player and MP3 playback, seek-and-scan, digital clock, auto-tone control, Radio Data System (RDS), automatic volume, TheftLock, auxiliary input jack, USB port and 36 cross-band presetsSiriusXM Satellite Radio is standard on nearly all 2013 GM models. Enjoy a 3-month trial to the XM Premier package, with over 140 channels including commercial-free music, all your favorite sports, exclusive talk and entertainment. And now add premium channels to your trial at no cost. Welcome to the world of satellite radio. (If you subscribe after your trial period, subscriptions are continuous until you call SiriusXM to cancel. See SiriusXM Customer Agreement for complete terms at www.siriusxm.com. Other fees and taxes will apply. All fees and programming subject to change. )Audio system feature, 6-speaker systemAudio system feature, USB portAudio system controls, rear with 2 headphone jacks (headphones not included), power outlet and controls for volume, station selection and media (Not included when (AZ3) 40/20/40 split-bench rear seats are ordered. )Bluetooth for phone personal cell phone connectivity to vehicle audio system and HMI (Human Machine Interface), with specific steering wheel controlsInteriorSeats, front bucket with (AG1) 6-way power driver and (AG2) front passenger seat adjusters, adjustable head restraints, (AM1) driver manual lumbar control, floor console and rear storage pocketsSeats, rear 60/40 split-bench, 3-passenger, flip and fold with child seat top tether anchorConsole, floor with storage area, cup holders and integrated second row audio controls (Not available with (AZ3) 40/20/40 split-bench front seats. )Floor covering, color-keyed carpeting with (B58) carpeted floor matsSteering column, Tilt-Wheel, adjustable with brake/transmission shift interlockSteering wheel, leather-wrappedTheft-deterrent system, vehicle, PASS-Key III Cruise control, electronic with set and resume speedInstrumentation, analog with speedometer, fuel level, voltmeter, engine temperature, oil pressure and tachometerWarning tones headlamp on, key-in-ignition, driver and right-front passenger safety belt unfasten and turn signal onWindows, power with driver and front passenger Express-Down and lockout featuresPedals, power-adjustable for accelerator and brakeRemote vehicle starter system includes Remote Keyless EntryAir conditioning, dual-zone manual climate control with individual climate settings for driver and right front passenger. Includes rear air conditioning outlets in center console when bucket seats are orderedDefogger, rear-window electricMirror, inside rearview with rear camera displayHeadliner, clothVisors driver and front passenger illuminated vanity mirrors, padded with cloth trim, extends on rodAssist handles, front passenger and rear outboardPower outlets 2 instrument panel-mounted auxiliary with covers, 12-volt (On vehicles equipped with (A95) front bucket seats or (AN3) front leather appointed buckets seats, also includes 1 outlet inside center console and 1 in rear of console)Lighting, interior with dome light, driver-and passenger-side door switch with delayed entry feature, cargo light, door handle or Remote Keyless Entry-activated illuminated entry and map lights in front and second seat positionsRear Vision Camera (Note: images appear on Navigation screen for units equipped with (UYS) AM/FM/SiriusXM stereo with MP3 compatible CD/DVD player and navigation. For units not equipped with Navigation systems images will appear within rearview mirror. )SafetyStabiliTrak, stability control system with traction control, includes electronic trailer sway control and hill start assistDaytime Running Lamps with automatic exterior lamp controlAir bags, dual-stage frontal, driver and right-front passenger with Passenger Sensing System (right-front passenger air bag status on overhead console) (Always use safety belts and child restraints. Children are safer when properly secured in a rear seat in the appropriate child restraint. See the Owner's Manual for more information. )Air bags, head curtain side-impact, front and rear outboard seating positions with rollover sensor (Always use safety belts and child restraints. Children are safer when properly secured in a rear seat in the appropriate child restraint. See the Owner's Manual for more information. )Air bags, seat-mounted side-impact driver and right-front passenger (Always use safety belts and child restraints. Children are safer when properly secured in a rear seat in the appropriate child restraint. See the Owner's Manual for more information. )Safety belts 3-point, driver and front passenger and second row all seating positions, center seating position in first row is lap onlyLATCH system, (Lower Anchors and Top tethers for CHildren), for child safety seatsRear Parking Assist, Ultrasonic with audible warningOnStar, 6 months of Directions and Connections plan includes, Automatic Crash Response, Emergency Services, Crisis Assist, First Assist, Injury Severity Predictor, Stolen Vehicle Assistance, Stolen Vehicle Slowdown, Remote Ignition Block, Remote Door Unlock, Roadside Assistance, Remote Horn and Lights, Turn-by-Turn Navigation with OnStar eNav, Destination Download (requires navigation radio), OnStar Vehicle Diagnostics, Hands Free Calling and available OnStar RemoteLink mobile app. (Visit onstar.com for details and system limitations. )Automatic Crash ResponseStolen Vehicle AssistanceOnStar Turn-by-Turn NavigationTire Pressure Monitoring System (does not apply to spare tire) Optional Equipments--> Wheels, 4-20" X 8.5" (50.8 Cm X 21.6 Cm) Polished Aluminum • Alloy Wheels Fairway Metallic Trailering Package, Heavy-duty Lpo, 22" (55.9 Cm) Chrome 8-single Spoke Design Wheels • Alloy Wheels Safety • Driver Air Bag • Passenger Air Bag • Side Air Bag • Alarm • Power Door Locks • Heated Mirrors • Traction Control • Fog Lamps • Vehicle Anti-Theft System • Integrated Turn Signal Mirrors • Tire Pressure Monitoring • Electronic Stability Control Comfort • Dual Zone AC • Air Conditioning • Cruise Control • Keyless Entry • Power Driver Mirror • Power Steering • Tilt Wheel • Steering wheel controls • Rear Parking Aid • Handsfree Communications • Backup Camera Sound System • AM/FM Stereo • CD Player • Satellite Radio • MP3 Player Windows • Rear Window Defroster • Power Windows Seat • Power Driver Seat • Power Passenger Seat • Bucket Seats • Heated Driver Seat Additional Features • CUSTOM EXHAUST • CUSTOM SUPERCHARGER • CUSTOM CARBON FIBER EVERYWHERE • CUSTOM SUSPENSION • CUSTOM WHEELS/TIRES Other Features • Alloy Wheels • Auxiliary Power Outlet • Luggage Rack • Trailer Hitch Receiver • Flex Fuel Warranty AS IS - NO WARRANTY This vehicle is being sold as is, where is with no warranty, expressed written or implied. The seller shall not be responsible for the correct description, authenticity, genuineness, or defects herein, and makes no warranty in connection therewith. No allowance or set aside will be made on account of any incorrectness, imperfection, defect or damage. Any descriptions or representations are for identification purposes only and are not to be construed as a warranty of any type. It is the responsibility of the buyer to have thoroughly inspected the vehicle, and to have satisfied himself or herself as to the condition and value and to bid based upon that judgement solely. The seller shall and will make every reasonable effort to disclose any known defects associated with this vehicle at the buyers request prior to the close of sale. Seller assumes no responsibility for any repairs regardless of any oral statements about the vehicle. Terms and Conditions Winning bidder must contact us within 24 hours of the auctions end. We require a $500 non-refundable deposit via paypal to ebaykate123@gmail.comwithin 24 hours unless other arrangements have been made prior. Full payment is due within 7 days of auction end. If no contact is made within 24 hours we reserve the right to re-list the vehicle, sell it to the next high bidder, or sell it otherwise. Most banks and credit unions do not finance vehicles older than 1995 or with more than 100K miles. Make sure if financing that your financial institution accepts the year and miles of this vehicle before bidding. Please arrange financing prior to bidding. If you are not sure about something, please ask! Do not assume anything not listed is included. We reserve the right to end the listing if the vehicle is no longer available for sale. PLEASE ONLY BID WHAT YOU ARE WILLING TO PAY. 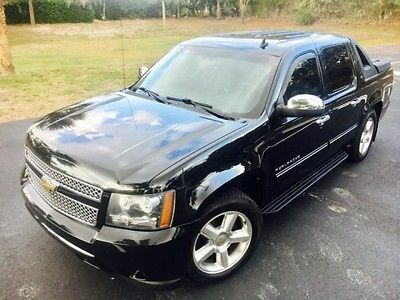 HP Sales of Florida 561-651-9501 2008 Chevrolet Avalanche 4WD Crew Cab LTZ 2008 Chevrolet Avalanche 4WD Crew Cab LTZ Black / Black110,471 Miles / VIN: 3GNFK12318G164745 Contact Jeremy at HP Sales of Florida at 561-651-9501 5401 East avenue Suite 1 West Palm Beach, FL 33407 View This Seller's Other Auctions 2008 Chevrolet Avalanche 4WD Crew Cab LTZ Black Exterior / Black Interior VIN: 3GNFK12318G164745 4 Doors, Four Wheel Drive, Pickup, 8 Cylinders, Automatic Inventory ID: 164745 Video Vehicle Description 2008 Chevrolet Avalanche 4WD Crew Cab LTZTake a look at our fully loaded, CLEAN CARFAX, CLEAN TITLE, Chevy Avalanche truck with some nice aftermarket mods such has chrome grill inserts, Power step Bars, halo headlamps with HID kit, and smoked tailights. These nice touches make this great truck really stand out from the crowd.Apart from the nice mods, this truck has everything GM could put into an Avalanche. 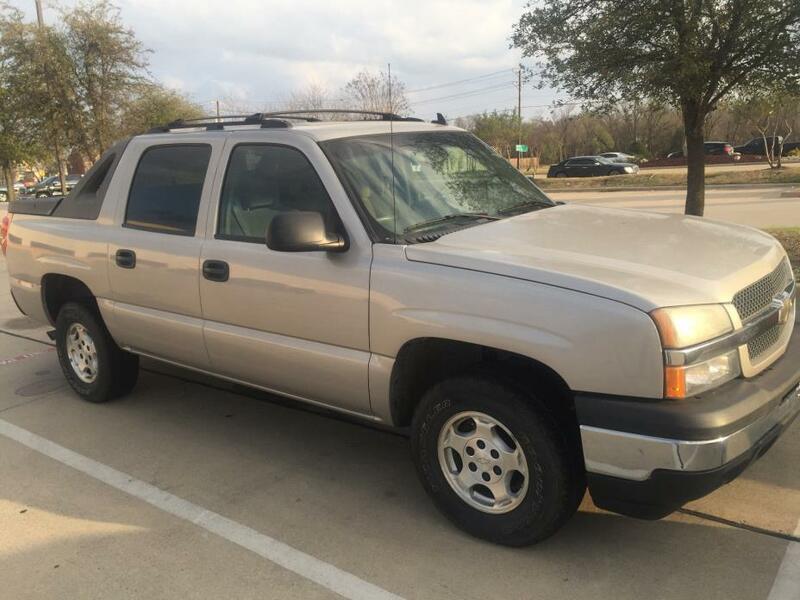 4X4, 20" Polished wheels, BRAND NEW TIRES, Factory Autoride Air Suspension, Power sunroof, Back up Camera, Navigation, Power folding mirrors, Perfect Leather interior and soooo much more!This truck runs and drives perfectly. shows no leaks or rattles and shows in above average condition for the year and miles. Please expect normal wear and tear, minor scrapes, scratches and chips, and possible paint work. This truck is ready to work or take the family to the country club. 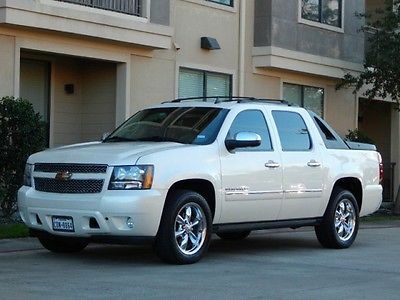 Dont hesitate, fully loaded, 4wd, LTZ Avalanches dont come around everyday! 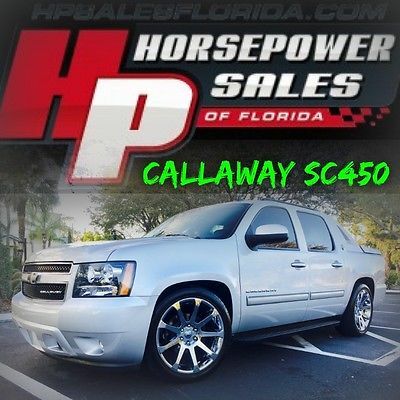 !WWW.HPSALESFLORIDA.COMWE CONSIDER ALL TRADES, SHIP WORLDWIDE, AND CAN ASSIST FINANCING IF NEEDED Fully loaded. GPS system. Highway miles. Ice cold A/C. Looks & runs great. Must see. New tires. No accidents. Non-smoker. Perfect first car. Power everything. Runs & drives great. Satellite radio. Well maintained. Additional Photos Equipment & Features Standard Equipment PackageSuspension Package, Autoride, bi-state variable shock dampening and rear air-assisted load-leveling includes (G69) Level control, auto air (Requires (L76) Vortec 6.0L V8 SFI engine)MechanicalTransmission, 4-speed automatic, electronically controlled with overdrive and tow/haul modeRear axle, 3.73 ratioDifferential, heavy-duty locking rearRecovery hooks, front, frame-mounted (Standard with 4WD Models only)Pedals, power-adjustable for accelerator and brakeTransfer case, electronic Autotrac with rotary dial controls (Not available on 2WD models)StabiliTrak, stability control system with Proactive Roll AvoidanceFour wheel driveBattery, heavy-duty 600 cold-cranking amps, maintenance-free with rundown protection and retained accessory powerAlternator, 145 ampsTrailering equipment, heavy-duty, includes trailering hitch platform, 7-wire harness with independent fused trailering circuits mated to a 7-way sealed connector, and (VR4) 2" trailering receiverSuspension, front coil-over-shock with stabilizer barSuspension, rear multi-link with coil springsGVWR, 7200 lbs. (3266 kg) (Requires CK10936 models)Tire carrier, lockable outside spare, winch-type mounted under frame at rearSteering, powerBrakes, 4-wheel antilock, 4-wheel discKey, single, 2-sidedExteriorWheels, 4 - 20" x 8.5" (50.8 cm x 21.6 cm) polished aluminumTires, P275/55R20, all-season, blackwallFascia, rear color-keyedLuggage rack side rails, roof-mounted, BlackAssist steps, Dark Charcoal (Upgradeable to (BRS) power retractable assist steps. Not available with (STX) White Diamond Edition)Fascia, front color-keyedGrille insert, bright chromeMoldings, bodyside, color-keyed Moldings are chrome-accented when (STX) White Diamond Edition is ordered)Door handles, ChromeHeadlamps, dual halogen composite with automatic exterior lamp control and flash-to-pass featureDaytime Running Lamps, with automatic exterior lamp controlFog lamps, front, halogenMirrors, outside heated power-adjustable, power-folding and driver-side auto-dimming, color-keyed with integrated turn signal indicators, ground illumination and curb-tilt (Mirror caps are bright chrome)Glass, Solar-Ray deep tinted (all windows except light tinted glass on windshield, driver and front passenger)Wipers, front intermittent, RainsenseWindshield washer fluid system, heatedMidgate, foldable door between cargo box and cab, with a removable and stowable rear windowCargo cover, rear rigid, 3-piece composite, stowable onboardPickup box mat, Black rubberStorage box, integrated top box with locks and lightsEntertainmentAudio system, AM/FM stereo with MP3 compatible 6-disc in-dash CD changer auxiliary input jack, seek-and-scan, digital clock, auto-tone control, Radio Data System (RDS), speed-compensated volume and TheftLock (Not available with (PCJ) Sun, Entertainment and Destinations Package or (STX) White Diamond Edition)InteriorSeats, front bucket with leather-appointed seating (AG1) 10-way power driver and (AG2) front passenger seat adjusters, power lumbar control, heated seat cushion and seatbacks, 2-position driver memory, adjustable head restraints, storage pockets and floor consoleConsole, floor with storage area, cup holders and integrated second row audio controls (Includes woodgrain covered forward storage. )Audio system controls, rear with 2 headphone jacks (headphones not included), power outlet and controls for volume, station selection and mediaRemote vehicle starter system includes Remote Keyless EntryAir conditioning, dual-zone automatic climate control with individual climate settings for driver and right-front passenger. Includes rear air conditioning outlets in center console when bucket seats are orderedUniversal Home Remote includes garage door opener, programmableLTZ Plus Sales PackageSeats, rear 60/40 split-bench, 3-passenger, flip and fold with child seat top tether anchorFloor covering, color-keyed carpeting with (B58) carpeted floor matsSteering column, Tilt-Wheel, adjustable with brake/transmission shift interlockSteering wheel, leather-wrappedSteering wheel controls, mounted audio and cruise controlsTheft-deterrent system, PASS-Key IIICruise control, electronic with set and resume speed Instrumentation, analog with speedometer, fuel level, voltmeter, engine temperature, oil pressure and tachometerTire Pressure Monitoring System (does not apply to spare tire)Warning tones, headlamp on, key-in-ignition, driver and right front passenger safety belt unfasten and turn signal onWindows, power with driver and front passenger Express-Down and lockout featuresDoor locks, power programmable with lockout protectionOnStar, 1-year of Directions and Connections plan. Includes the innovative easy to use Turn-by-Turn Navigation services which provide voice-guided directions (where available). Also includes Automatic Notification of Air Bag Deployment, Stolen Vehicle Location Assistance, Emergency Services, Roadside Assistance, Remote Door Unlock, OnStar Vehicle Diagnostics, Hands-Free Calling, AccidentAssist, Remote Horn and Lights, Information and Convenience Services, and Driving Directions (OnStar services require vehicle electrical system (including battery), wireless service and GPS satellite signals to be available and operating for features to function properly. OnStar acts as a link to existing emergency service providers. Stolen Vehicle Location Assistance and Remote Door Unlock success varies with conditions. OnStar Vehicle Diagnostics available on most 2004 MY and newer GM vehicles. Diagnostic capability varies by model. Turn-by-Turn Navigation requires ABS and is not available in certain areas. Visit onstar or call 1-888-466-7827 for system limitations and details)XM Satellite Radio. With a wide variety of programming, XM has something to excite any driver. Whether you want to be entertained or informed, to laugh, think, or sing, XM has the perfect channel for you coast-to-coast, and in digital-quality sound. 3 trial months - no obligation (Available in the 48 contiguous United States. Required $12.95 monthly subscription sold separately separately after 3 trial months. All fees and programming subject to change. Subscription subject to customer agreement. For more information, visit gm.xmradio.com)Defogger, rear-window electricMirror, inside rearview auto-dimming with 8-point compass and outside temperature displayHeadliner, clothVisors, driver and front passenger and illuminated vanity mirrors, padded with cloth trim, extends on rodAssist handles, front passenger and rear outboardPower outlets, 2 instrument panel-mounted auxiliary with covers, 12-volt (On vehicles equipped with (A95) front bucket seats or (AN3) front leather appointed buckets seats, also includes 1 outlet inside center console and 1 in rear of console)Lighting, interior with dome lamp, driver-and passenger-side door switch with delayed entry feature, cargo light, door handle or Remote Keyless Entry-activated illuminated entry and map lights in front and second seat positionsSafetyRear Parking Assist, Ultrasonic with rearview LED display and audible warningAir bags, dual-stage frontal, driver and right-front passenger with Passenger Sensing System (right-front passenger air bag status on overhead console) (Always use safety belts and the correct child restraints for your child's age and size. Even in vehicles equipped with air bags and the Passenger Sensing System, children are safer when properly secured in a rear seat. Never place a rear-facing infant restraint in the front seat of any vehicle equipped with an active frontal air bag. See the vehicle's Owner's Manual and child safety seat instructions for more safety information)Air bags, head curtain side-impact, front and rear outboard seating positions with rollover sensor (Head curtain side air bags are designed to help reduce the risk of head and neck injuries to front and rear seat occupants on the near side of certain side-impact collisions. Always use safety belts and the correct child restraints for your child's age and size, even in vehicles equipped with air bags. Children are safer when properly secured in a rear seat. See the vehicle's Owner's Manual and child safety seat instructions for more safety information)Safety belts, 3-point, driver and front passenger and second row all seating positions, center seating position in first row is lap onlyLATCH system (Lower Anchors and Top tethers for CHildren), for child safety seats Optional Equipments--> Warranty AS IS - NO WARRANTY This vehicle is being sold as is, where is with no warranty, expressed written or implied. The seller shall not be responsible for the correct description, authenticity, genuineness, or defects herein, and makes no warranty in connection therewith. No allowance or set aside will be made on account of any incorrectness, imperfection, defect or damage. Any descriptions or representations are for identification purposes only and are not to be construed as a warranty of any type. It is the responsibility of the buyer to have thoroughly inspected the vehicle, and to have satisfied himself or herself as to the condition and value and to bid based upon that judgement solely. The seller shall and will make every reasonable effort to disclose any known defects associated with this vehicle at the buyers request prior to the close of sale. Seller assumes no responsibility for any repairs regardless of any oral statements about the vehicle. Terms and Conditions Winning bidder must contact us within 24 hours of the auctions end. We require a $500 non-refundable deposit via paypal to ebaykate123@gmail.comwithin 24 hours unless other arrangements have been made prior. Full payment is due within 7 days of auction end. If no contact is made within 24 hours we reserve the right to re-list the vehicle, sell it to the next high bidder, or sell it otherwise. Most banks and credit unions do not finance vehicles older than 1995 or with more than 100K miles. Make sure if financing that your financial institution accepts the year and miles of this vehicle before bidding. Please arrange financing prior to bidding. If you are not sure about something, please ask! Do not assume anything not listed is included. We reserve the right to end the listing if the vehicle is no longer available for sale. PLEASE ONLY BID WHAT YOU ARE WILLING TO PAY. 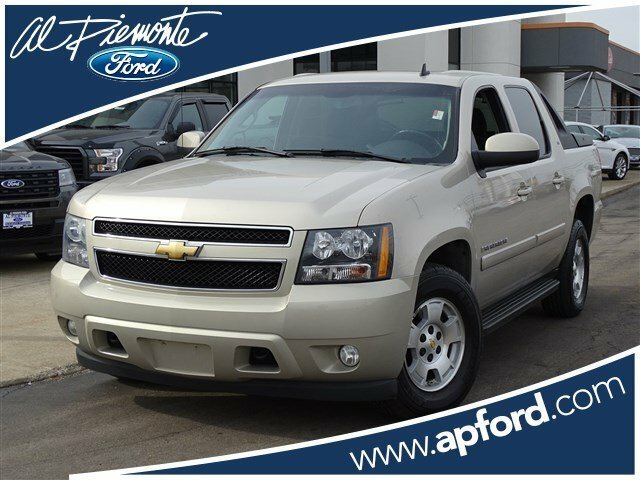 2011 Chevrolet Avalanche FREE SHIPPING NATIONWIDE! 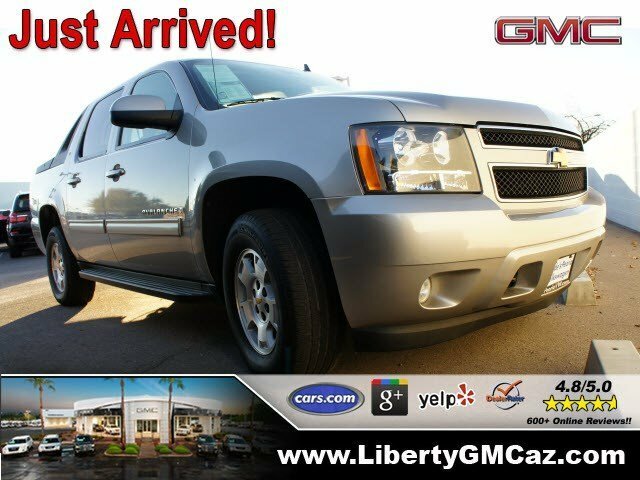 4X4 ALL HIGHWAY MILES 4WD Crew Cab LTZ Texas Owned! EXCELLENT CONDITION! 4X4 LOW MILES! GARAGE KEPT!